Falls in milk prices were ‘inevitable’ as processors reacted to global market prices, according to dairy analyst Chris Walkland. Last week, Arla announced a price cut of 0.79ppl, which was reduced to 0.42ppl due to the impact of currency. Mr Walkland has been forecasting prices of 26-27ppl for April since February and said the drop was not surprising, but was disappointing. “I am not surprised the price correction has happened. You cannot buck a market. The only ray of light has been the fat market,” he said. In New Zealand, skim milk prices have fallen by 25 per cent at the two latest Global Dairy Trade (GDT) auctions in line with the prices seen in the European and US markets. 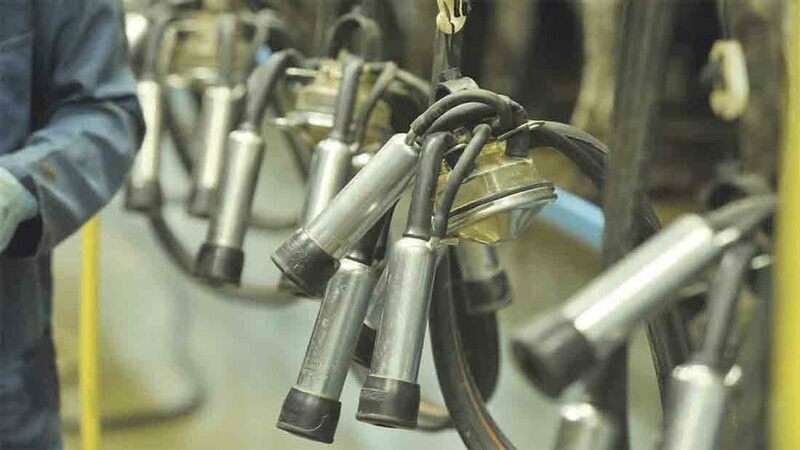 Skim milk prices at the GDT auction, which is run by New Zealand milk giant Fonterra, fell by 10.1 per cent at the latest event, to an eight-month low of $1,948/tonne (£1,561.02/t). It followed a 15.5 per cent fall at the previous auction. As of last week, skim milk powder prices in Europe stood at $2,052/t (£1,644.36/t), according to the European Commission and prices in the US were even lower, at $1,782/t (£1,428/t). At the start of the month, New Zealand prices stood $578/t (£463.18/t) higher than European levels. Mr Walkland said: “It should not have come as a surprise. It has been too high and was corrected down. Despite the sharp fall in skim milk prices, benchmark whole milk powder prices actually rose a touch in the latest GlobalDairyTrade auction, up 2.9 per cent from the four-and-a-half-month lows of the previous event. The GDT index as a whole rose 1.7 per cent.